Paddy Power's new campaign supporting gay footballers raises some big questions about the role of brands in society, writes Stephen Bell, executive creative director, Coley Porter Bell. Yesterday Dublin based bookmaker Paddy Power and the gay charity Stonewall kicked off a new campaign to give homophobia in football the boot. ‘We don’t care which team you play for’ runs the witty copy on their poster. As a gay man, albeit one not terribly interested in football, I applaud Paddy Power for its bravery and willingness to tackle a difficult social issue head-on. Hopefully it will give the conservative and outdated culture of UK football the 'kick up the arse' it badly needs to join the twenty first century in its attitude to matters gay. But as a brand professional and as a citizen this intervention leaves me uneasy because it raises serious questions about the role of brands in society and the extent to which brands should lead on social and political issues. 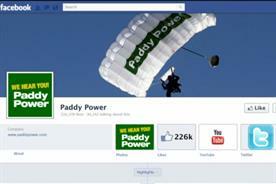 In this case I commend Paddy Power. But what if I didn’t? What if I thought homosexuality was a sin and an abomination? A few years ago a Caribbean holiday company let it be known that it was discouraging gays. You could argue it was a blow for Christian values and the family. Were they too entitled to express their values and beliefs? What if P&G launched a campaign to get mums to stay at home or car manufacturers campaigned against limits on carbon emissions, or booze companies started telling us to vote for a particular party because it was in their interests? The idea that brands and corporations should be able to use their financial muscle to set political agendas is obviously fraught with difficulties. The idea that brands and corporations should be able to use their financial muscle to set political agendas is obviously fraught with difficulties. After all, brands aren’t political experts and by what right or authority do they intervene? Now, you might argue that they already do. That’s what lobbying is about. 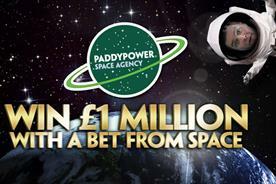 The difference is that campaigns like Paddy Power’s appeal directly to the consumer. Then again look at the environment. Corporations like Unilever are taking the lead in environmental action, largely because consumers can't and won't. Consumers may have gone green for a moment at the top of the last business cycle, but there’s not a lot of evidence that they are seriously engaged with green issues now. Consumers are volatile, they discount the future too heavily, so anything further than a couple of years away scarcely exists, and they have to finance environmental measures out of their own pockets. Companies have a longer time frame, are more likely to maintain a consistent strategy and finance environmental measures out of surpluses. Thank God they do. Left to consumers nothing would be done until it’s too late. So there’s no hard and fast moral rule here. The morality of brand interventions in social and political issues seems to depend entirely on the intervention and whether you agree with it. 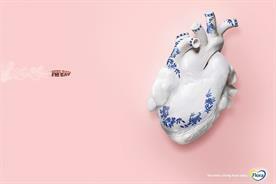 But what about the marketing wisdom of PP’s campaign? They obviously have their timing spot on. They couldn’t have run such a campaign ten or even five years ago; they would have been way out on a limb. With gay marriage enshrined in law, the issue of gay rights is safe but still a tiny bit edgy. They are just ahead of the curve, and that’s the sweet spot for such interventions. Although it is part of their ‘We hear you’ strategy, I was struck by the lack of obvious connection or synergy between Paddy Power and the issue. Conventional marketing wisdom says a brand should only endorse a cause if it is at the core of its identity. 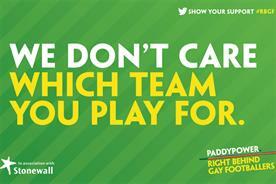 I doubt if homosexuality is core to Paddy Power’s brand. So the campaign could be cynical attention-seeking. And there is danger in this approach. All it needs is one unfair dismissal case or one gay employee complaining about being bullied and Paddy Power will score a massive own goal. But actually it made me think better of them. They have gained extensive media coverage and maybe that was their intention. But there is the possibility that rather than performing some cynical cost-benefit brand calculus they may be doing this out of conviction. All that said, I still don’t see myself ever visiting a Paddy Power shop.